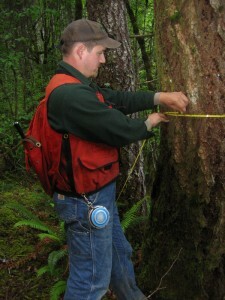 A well-planned and up to date forest inventory is essential in all aspects of forest management. IRM has extensive experience in sample design, inventory implementation and analysis. Our services are flexible to account for a variety of client needs and budgets. IRM has developed inventory systems for small family woodlands up to complex systems, which combine inventory, grade cruising, and habitat measurements for large forest ownerships. IRM can collect a full range of inventory data including: tree type, snags, downed wood, understory vegetation, fuels and roads. When linked with a Geographic Information System (GIS) a forest inventory can be combined with other data layers (fuels, roads, buffers, etc.) to allow integrated approaches to forest management. 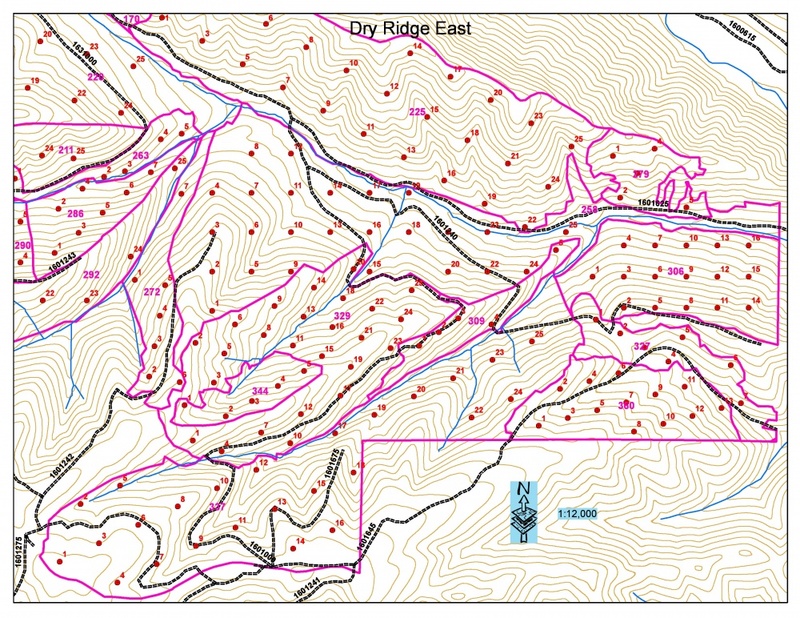 IRM created this GIS map to be used as part of a comprehensive inventory project for the Wenatchee National Forest in Washington. IRM also uses the Forest Projection System (FPS), Landscape Management System, growth and yield models and harvest scheduling programs to compile and analyze collected data. Once manipulated, forest inventory data can be graphically displayed using the Stand Visualization System (SVS). 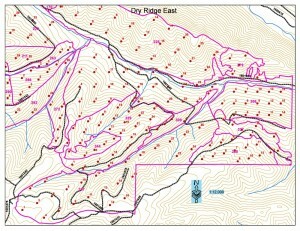 The power and functionality of the forest inventory is realized through use of integrated inventory software. Please visit our Projects page for examples of Forest Inventory projects completed by IRM.